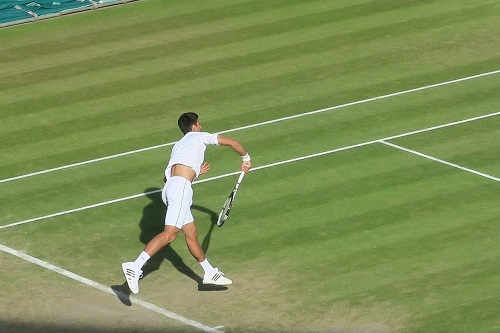 The dust has barely settled on the famous grass courts at the All England Club at Wimbledon, but already the most prestigious tennis tournament in the world is mired in controversy. Of course, it isn’t the first time Wimbledon has hit the headlines for all the wrong reasons, but any hint of a match fixing scandal could cause irreparable damage to one of the nation’s best loved sports. Concerns were raised shortly after the tournament ended. The Tennis Integrity Unit eventually released a statement revealing that three Wimbledon matches were under the microscope following “unusual” betting patterns. Of course, strange betting patterns are not necessarily indicative of match-fixing. Bad weather and last-minute injuries can cause the punters to change their opinion about the likely winner of a match. However, Wimbledon is a highly prestigious tournament and the sport has a zero-tolerance policy to corruption. News of the investigation by the Tennis Integrity Unit (TIU) has caused shockwaves through the sport. Two of the matches were qualifiers and one was in the main draw. The good news is that no British players are under investigation, so the British Public can breathe a sigh of relief. For those players who are under investigation, however, sleep might not come so easy. Senior ranking officials and stalwarts of the All England Tennis Club have been quick to tell the media that corruption in tennis will not be tolerated. “If someone is found out, then it’s important that players are banned and that their bans are significant – whether it’s life or four years,” said former professional tennis player and All England Club board member, Tim Henman. Henman told reporters he was fully aware how much money the TIU had invested in protecting the sport from corruption and that “no stone [was] going to be left unturned” in investigations to get to the bottom of any Wimbledon match fixing. Penalties for guilty players are severe. Nikita Kryvonos, a 30-year-old American player was suspended and fined last month for match fixing in the States. A TUI investigation found he had colluded with third parties. After Kryvonos failed to cooperate with the investigating officers, he was suspended from the game for 10 years and fined US$20,000. Greek player, Konstantinos Mikos, received a lifetime ban in May 2017 for various offences. Japanese player, Junn Mitsuhashi, was also banned for life in the same month. The TIU can’t afford to take a lenient approach to corruption at Wimbledon. For those who love stats, here are some interesting Wimbledon facts. 473,372 people attended Wimbledon this year. 24.1 million people streamed matches via the BBC and 17.8 million watched via digital devices. Annual turnover is in the region of £170 million, which makes it the richest Grand Slam tournament in the world. With so much money at stake, one might expect match fixing to be more profitable at the upper echelons of the game, such as Grand Slam semis and finals, but most match fixing takes place at lower levels. It is usually the lower ranking players who end up involved in match fixing scandals. Australian player, Isaac Frost, was suspended last month after being found guilty of match fixing. He had never achieved more than 651 in the world rankings. Nikita Kryvonos achieved a career high of 389 but was most recently languishing at 931. Sadly, this is the norm. The Tennis Integrity Unit is responsible for detecting and stamping out corruption in tennis. The TIU is funded by the sport’s top stakeholders, including Wimbledon. It aims to educate players and stakeholders, so they know what to look out for. This makes it easier to identify corrupt players and suspect practices. The TIU receives reports from various individuals and organisations involved in the sport, including betting companies, and is obliged to investigate if it has cause for concern. This year, there were 53 alerts during Wimbledon and 83 alerts over a cumulative six-month period. That is down on the 121 alerts for the same period last year, but any alerts at all are disquieting for the sport’s stakeholders and the watching public. Let’s hope the prospect of increased vigilance and hefty penalties are enough to stamp out corruption in one of Britain’s best-loved sports. This entry was posted in News, Other Sports and tagged Match Fixing, Tennis, Wimbledon. Bookmark the permalink.